How often is it that you get something in return for reading someone’s blog? Well, today is your lucky day. Are you interested in going to the CSI Conference in Arlington, VA from November 3-9? The first person to send me an email will get a registration code. Unfortunately, I won’t be able to attend as I am going to be presenting in Jakarta at BCS. and extract all the table names: a.table1, b.table2, c.table3. Are there tools to do that? Remember, I don’t have the database with these tables. I only have a log from some database. The script should support all the SQL perks like joins, nested selects, etc. Anyone have a good way to do this? 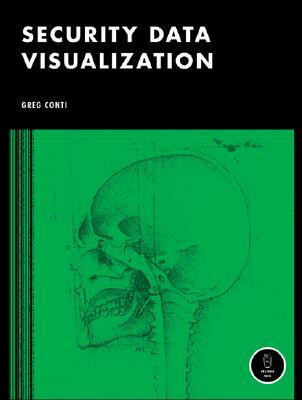 He beat me to the punch with publishing a book on security data visualization. That’s all I can say. I hope that I am done with my book soon. Fortunately, I knew about this book early on so I could make sure that we are not writing about the same topics. My book is going to be fairly different. I am diving quite a bit deeper into some visualization topics around security. I am focusing on use-cases. How do you use visualization for compliance, insider threat, and perimeter threat. What are some of the tools out there, what are the data sources, and what are the different types of graphs you should know and understand when you are visualizing security data. Thanks to Greg for letting me write part of his book! During the FIRST conference in Seville earlier this year, I was talking to Ben Chai at about 12.30am. We were sitting in the bar area when he suddenly took out his microphone and started interviewing me. The talk is pretty funny. The podcast shows that I don’t have a very good sense of humor 😉 Oh, and by the way, reading tea leaves is probably going to be the topic of one of my next talks!